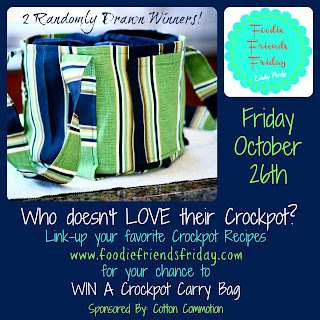 Welcome friends to another fabulous Friday party! 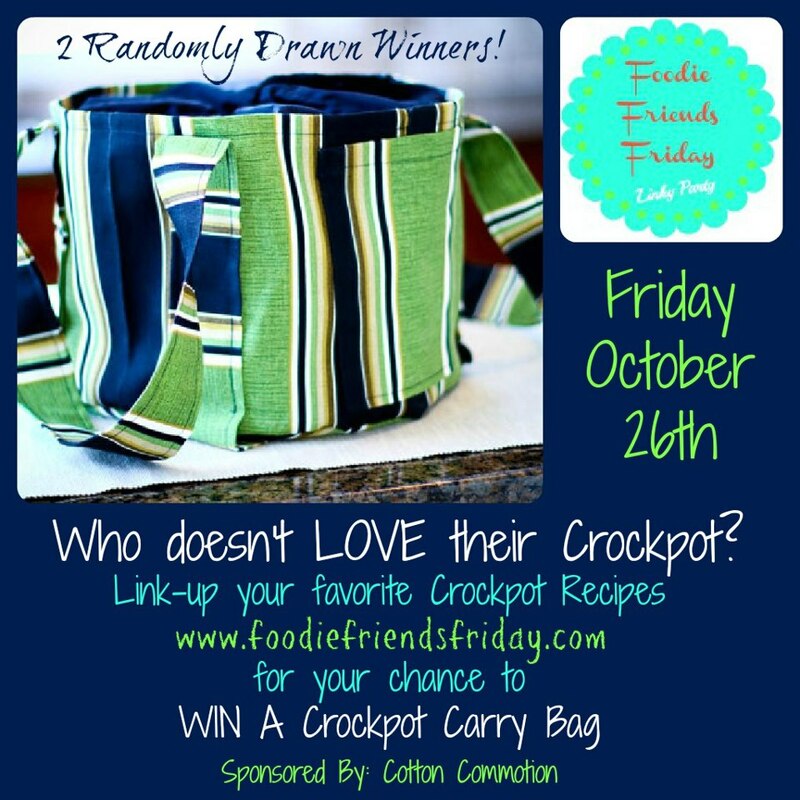 This week we are luck to be giving away 2 Crock Pot Carry Bags from Cotton Commotion! Just in time for the holidays, 2 lucky U.S. residents will be randomly selected will be able to carry their family dinner contributions in an adorable carrying bag! Meanwhile, heat the olive oil in a large skillet over medium high heat. Add the onion and green pepper and cook until tender. Add the macaroni to the skillet. Also add the burger crumbles, corn, soup, broth, and seasonings. Stir to combine. Pour into a 9x13 baking dish and top with crumbled french fried onions. Bake for 15 minutes or until the fried onions are golden brown. Green beans will be cooked for the baby and we will enjoy the watermelons for dessert.